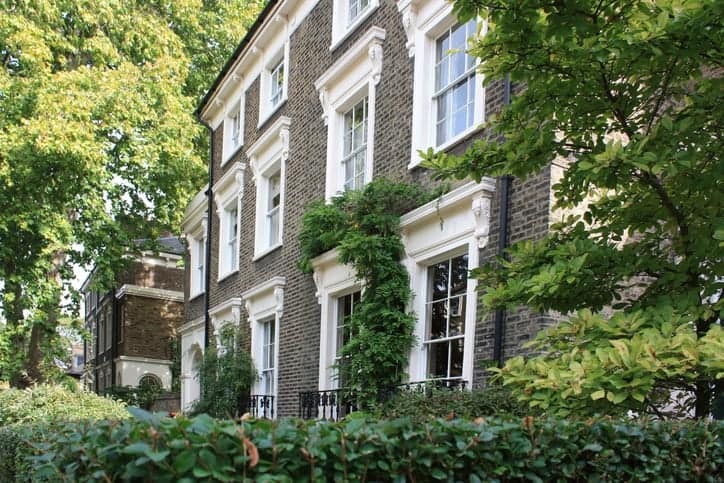 London sash window repair has become ever more popular and the options and number of companies continues to grow, with Londoners benefitting significantly from the competition driving down prices. With more and more London sash window repair companies favouring salvaging traditional joinery over brutally ripping out over a hundred years of history there’s never been a better time to keep your existing windows even if they are in various states of disrepair. The average London sash window company can now replace rotten sills, splice sashes, install draught proofing to rickety sashes, and even double glaze the originals. “There’s no need to be concerned with the condition of your sash windows. If they have surface rot or even require a replacement sill, maybe even an entire sash it’s still far more economically viable than full replacement which sets you in at just under £2000 a window now – by contrast a quality draught proofing system and sash window repair might only be in the region of £350 on a run of windows” says James Gaskin of London Sash Window Repairs Ltd. This information seems to follow well with what English Heritage have to say about sash window repair. A quick look at the resource provided will show they have extensive information on how to renovate and refurbish your timber sash windows and advocate this over replacement if possible. The savings seem quite considerable, however a replacement window would be double glazed and far more thermally efficient so when I questioned James on this his response was “Draught proofing systems are very effective, once you close out the gaps it makes a real difference to the ambience of your home, however we also double glaze most original sash windows, so long as they are structurally good enough to hold a double glazed unit. If they cannot, we will manufacture new sash and make use of the original frame. This costs between £600 – £800 per window but one should consider there’s still sash window painting to consider on these prices – most homeowners opt to do it themselves and we happily show them how to decorate the sash without damaging brush piles of the draught proofing system”. The savings seem quite apparent when considering the sash window repair over replacement and given the sash windows in most London homes are over 120 years old now, perhaps it does seem better to make good rather than replace, better the devil you know, after all twenty years ago double glazed UPVC salesman were happily running around London selling their plastic as everlasting windows which took about fifteen years to realise was factually incorrect. The UPVC extrusion breaks down quickly in sunlight as well as mechanical and glazing failures to go. Given wooden sash windows have already proved the best of time they certainly do seem like a safer bet even if there is the maintenance every four years or so. I think my sash windows are beyond economical repair. If you’re in London then there are literally hundreds of sash window companies offering free, no obligation sash window repair quotes. You’d be advised to contact at least three to discuss your options first. If they also agree repair is not a sound approach then replacement isn’t all that bad. you’ll get brand new perfect wooden sash windows with most companies offering factory spray finishes that look almost perfect. There’s a great resource released by Lambeth council that will help you asses your options when considering sash window replacement. It’s a good read for all Londoners as the advice and guidance is completely impartial with a view to ensuring correct practise is adhered. Next PostIs Your Home Suffering From Damp – Wet Rot vs Dry Rot, What’s the Difference?